You are here: Home / News / Own Andrew Dice Clay INDESTRUCTIBLE For Only $5! Own Andrew Dice Clay INDESTRUCTIBLE For Only $5! 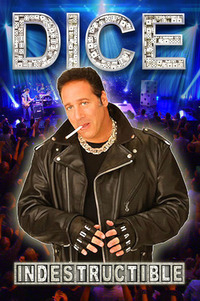 The "Indestructible" Andrew Dice Clay is back proving he is in-fact the undisputed Heavy Weight King of Comedy in his first stand-up comedy special in over 17 years. Indestructible is premiering on Showtime now in 2013 and available for download or stream exclusively only here on lolflix. Picking up where he left off, from the moment he takes to the stage, all the way through to the closing credits, the “Diceman” is on fire! True to his notorious persona, Dice is outrageously shocking and offensive — but always hilarious!